This book had to be written to fill a gap. 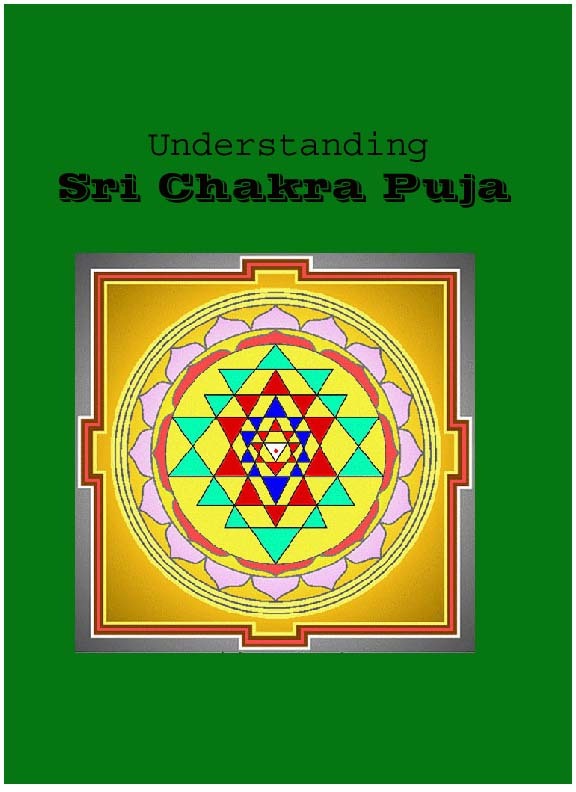 There are millions of people in the world who are doing Sri Chakra Puja. But very few understand the meanings of the mantras and procedures, why they are being done, what is a good way of doing things. And there are simply no books available on this subject. 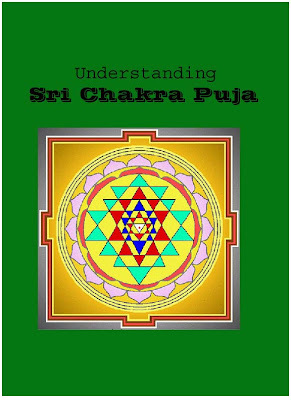 Sri Devi inspired Devi Parvati to seek this information for the benefit of every devotee of Sri Vidya by asking questions to Amrita at Devipuram, India. She used to ask questions, and tape the answers. She took painstaking trouble to transcribe what was said, typed it out and Amrita edited it again. Conversational style was preserved to a large extent to preserve readability. Redundancies have not been totally removed because they are sometimes needed as reminders; but an attempt has been made to reduce them. Please help me download the file! It is not downloading.